Ladies and gents, I know I’ve already blogged about these, but pretty please if you haven’t already, could you vote for my blog? It takes two seconds and it would mean a lot to me! 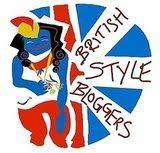 I am in competition to be July’s ‘Blog Of The Month’ on British Style Bloggers and would love it if you could all help me out! Just click HERE to vote!